It’s ironic that my morning ‘coffee shop’ this week, the Wetherspoon public house (‘pub’) named The Livery Rooms, was built in the late 19th century for the Keighley Temperance Society. When opened in 1896 it was the Keighley Temperance Institute and Hall. One of the entrances has an eroded but fanciful stone carving announcing entrance to the institute. The stone carving of the hall name is perfectly preserved over a grand entrance round the side though this entrance is not used as an entry to the pub. Prior to temperance halls about the only places to hold meetings and other social activities were inns and pubs, which of course encouraged drinking of alcohol, so the halls were often built by the temperance movement to provide rooms for a range of a activities; many included a coffee shop. The temperance movement was very strong in England from the early to mid 19th century to as late as the start of the second World War. It grew from a pledge to abstain from ‘intoxicating beverages’ signed in 1832 by seven men from Preston, one of them my namesake a Mr Livesey (Joseph). In the early days the movement opposed the drinking of spirits, particularly the drink of the working classes and the poor – gin – but accepted drinking beer. Later it promoted total abstinence. Another irony: the current fashion for drinking very expensive gins at ridiculous prices, hardly a drink for the poor (one of our village social clubs now promotes that it has 40 on offer) is replacing another ‘fashion’ of recent years – Prosecco. Half the population seemed to forget there were other (much better) wines. Now it is being abandoned for ‘fancy’ gins. My grandmother was a member of the ‘Band of Hope’, a temperance movement begun in Leeds in 1847 which was particularly concerned about drinking by children and the effect on children of drinking by adults. It began as a group for under 16s and at the first meeting around 200 children signed the pledge: ‘I, the undersigned, do agree that I will not use intoxicating liquors as a beverage’. They joined another 100 children at the meeting who had already signed. I suspect my grandmother signed the pledge as a child. 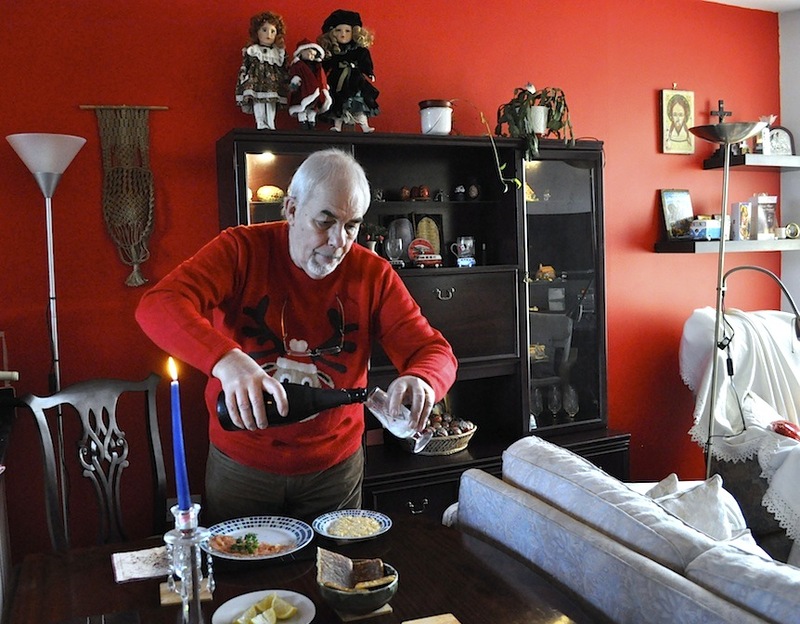 Her brother, my great uncle Albert, was allowed just one drink a year, whisky, at Christmas. I have a feeling he had a sneaky dram at other times but it was never mentioned and I never saw it. The follow on from the Band of Hope still exists today as Hope UK which tackles both alcohol and drug abuse by young people. I don’t remember what the building was used for when I was at high school just across the road; I probably never noticed it despite frequent visits to the library next door. I do know it was at some time a cinema (The Regent) and used as a bingo hall. It was abandoned for a number of years before being bought by the Wetherspoon pub chain. It opened as ‘The Livery Rooms’ in 2004. The name, The Livery Rooms, comes from the fact that at one time stables, I believe for the Town Hall, occupied the site, or part of it. Wetherspoon have done a pretty good job in renovating it as a pub. It is a typical Wetherspoon pub with a large open plan seating area and a long bar with a wide selection of beers, both good cask ales as well as that gassy Continental style stuff. They also serve food – not cordon bleu for sure but not bad and not highly priced. I’ve mentioned the decent coffee at a reasonable price in a previous post, but if you like filter coffee (I do not) it costs 99p for a cup and refills are free. Then of course there’s the free WiFi. The history of the building and some high points of the surrounding area is told in old photographs and various other artworks adorning the walls. A finishing touch is real log fires. Pity they have a fire guard around them but, as children are welcome, a necessity. I’ve made a comfy corner near the fire ‘mine’ this week. If Petronela’s teaching stint at the Keighley school continues after the week half term break next week, I may have a little brass plaque made engraved with ‘Grumpytyke’s corner’ and fix in that spot. This post was prompted by a request for more pictures of the Keighley Wetherspoon from my Latvian blogger friend Ilze. Who am I to refuse a lovely lady? 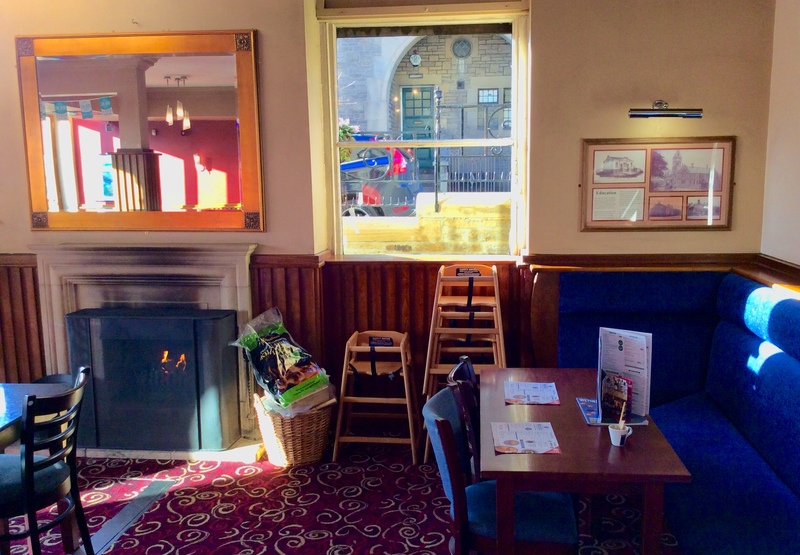 I’m wondering whether to finish this series of posts on aspects of Keighley with a visit upstairs in the library, the reference and study section, or the railway station – one terminus of the Worth Valley Railway, or a visit to the Brontë village of Haworth. Maybe all three? A couple of days ago Stefane, our favourite foodie blogger (My French Heaven), mentioned making hot chocolate for Sunday breakfast and, just about to go out into the snow to try to get some photos, I noted to make that rather than tea as a warmer when I arrived back. 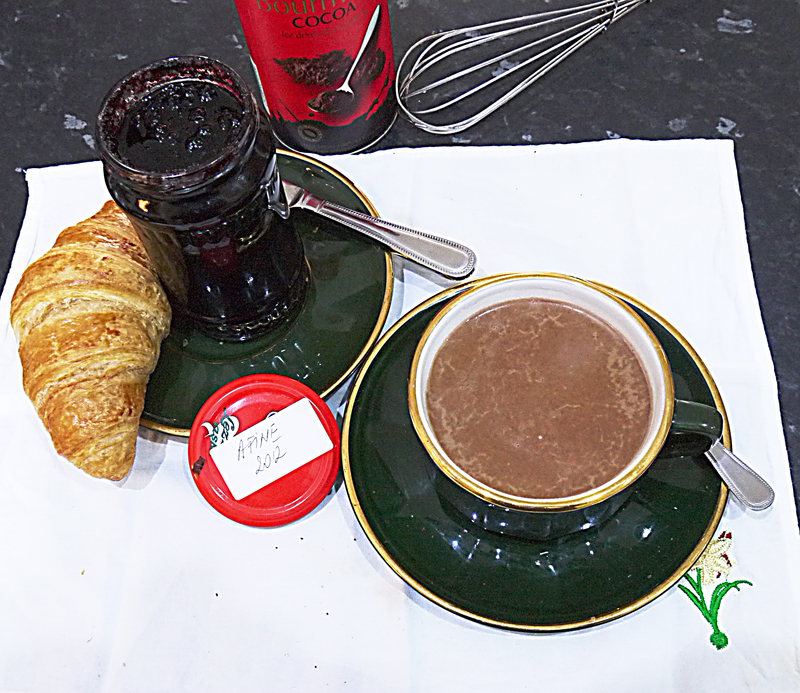 Hot chocolate and ‘afine’ jam; the afine are related to blueberries but, in my opinion, far superior (as are British bilberries). However, the post also reminded me of the only French lesson I enjoyed at school – somewhere around 1952/54 – when our usual draconian French teacher, Mr Milton, said “Today we are going to learn to make hot chocolate, as the French make it”. I’ve been following his instructions ever since. Put cocoa powder (I like my chocolate very chocolaty so 2 heaped teaspoons for the cup shown) and unrefined sugar (I don’t like things very sweet so about a rounded teaspoon) in the cup and add a little cold milk, from what you have measured for the cup, a bit at a time stirring continuously till you have a thin, smooth paste. Bring the rest of the milk, with a small pinch of salt, just to the boil and pour into the cup, stirring all the time till the cocoa paste is completely mixed in. Pour the mixture back into the pan, add a small knob of butter (if you use the usually salted English butter you can leave out the salt in the milk), bring back to the boil and simmer for one minute, whisking all the time . Pour back into the cup, sit down and slowly savour your ‘hot chocolate’. Stefane mentioned American blueberries but although they have become very fashionable I don’t really like them. But I really like their smaller wild cousins – bilberries from the Yorkshire moors in Britain or ‘afine’ from the lower slopes of Romanian mountains – the two are similar but not the same. Neither are cultivated – they are there free for the taking in August. 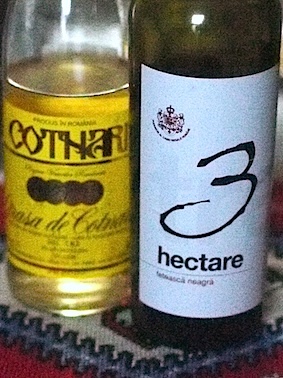 The jar of ‘Afine 2012’ jam in the picture was made by my ‘unofficial godmother’, Lucretia Hariuc, in her home in the Romanian Bucovina region. I brought it back (with a lot of other ‘goodies’) last summer. If you would like to know more about this remarkable lady who made it, you’ll find much about her in articles about Romanian decorated eggs under the ‘Romania’ menu above.